BxClinic specialises in joint malfunction in the lower body. Occasionally, we will assess a problem and conclude that it should be dealt with by a clinician with a different specialisation. We work with a number of partners utilising each other’s skills for the benefit of our patients. Our partners include physiotherapists, osteopaths, massage therapists, Pilates teachers, sports rehabilitators and local specialist shops. Back in Motion is a large physiotherapy and complementary therapy practice with eight clinics close to Norwich. 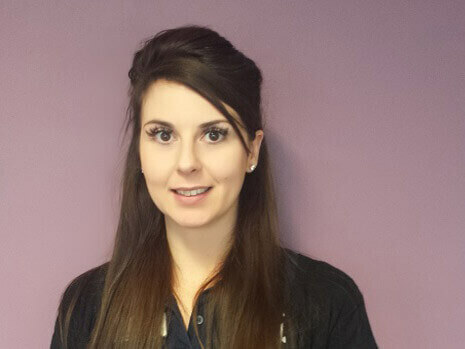 We work closely with Clare the owner, and Beth is our main contact for physiotherapy. Back in Motion provides clinical Pilates which is great for strengthening a problematic area, and they refer to us when biomechanical intervention is required before continuing physical therapy. We also work with them to provide after-hours CPD approved education packages for local practitioners including podiatrists, physiotherapists, osteopaths and chiropractors. “Back in Motion, which has 8 practices across Norfolk and Suffolk, was established in 2003 and in addition to offering all disciplines of Physiotherapy and Clinical Pilates, clinicians throughout the area come after-hours for their comprehensive CPD training programme. 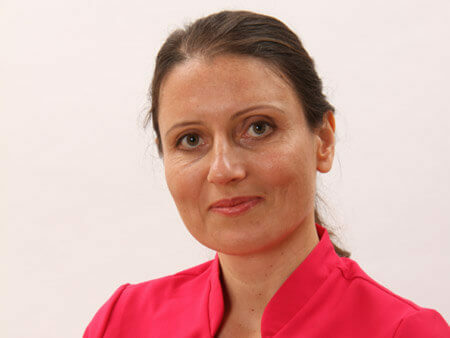 Ania at Blossom Therapies is one of our partners, offering a range of massages and therapies. 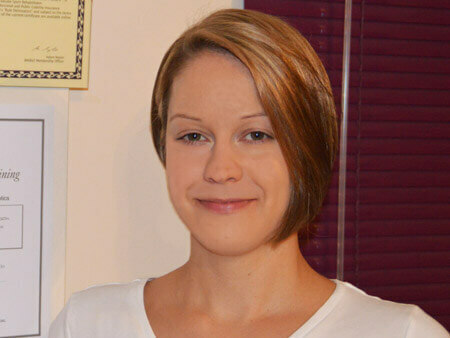 Ania is a qualified medical (sports) massage therapist, and as well as offering our patients rehabilitative treatments, we refer to her for Chavutti Thirumal. It’s akin to strong sports massage and has been really successful for patients with function-restricting tightness in the lower limbs. It complements our treatment, as well as being an excellent stand-alone therapy. “At Blossom Therapies, which, although a completely separate business, is located in the same clinic space as BxClinic, clients come to us with a variety of aches and pains, which have usually been going on for some time. Understanding that all clients’ needs are different, and that they are more comfortable with some modalities and treatments than others, we offer a range of different therapies to suit. The majority of patients coming to us as direct referrals from BxClinic come for strong sports-style massage, usually targeted to the lower limb, with the objective being to stretch muscles and release tension in soft tissue. If necessary, more gentle treatments such as craniosacral therapy are also offered. For more details and to book in directly, see www.BlossomTherapies.co.uk. Blossom Therapies has been leasing space at BxClinic since April 2014, and where appropriate, refers patients across, too. One notable example was of a massage client who displayed an obvious leg length discrepancy along with structural abnormality, for whom long-running discomfort is now being successfully managed through the prescription of bespoke orthotics. We consider Pilates to be a fantastic toolkit of exercises to help with strength and conditioning without adding muscle bulk. We work with Body Control Pilates which is a governing body facilitating education as well as training programmes for Pilates instructors. Ian Sadler, lead clinician at BxClinic lectures at their national conference and runs clinics in London for their staff and instructors. We are looking forward to forging ever-greater relationships with this organisation. Joelle is the principal practitioner at Body Flow Osteopathy, an excellent osteopathic practice that we work very closely with. Our practice and her form of osteopathy complement each other very well. We frequently cross-refer patients. We tend to send Joelle patients that are suffering from a badly aligned pelvis, or neurological problems and she will typically send us patients suffering back, pelvis or hip problems that stem from poor gait or poor foot function. James, our practice manager, experienced Body Flow Osteopathy first-hand when he had a low-speed motorcycle accident in 2014. He was very impressed and pleasantly surprised at the power of the treatment and the impact it had on his recovery. “Our role is to understand how the body functions and how the parts are inter-related. When something goes wrong and pain arises, we strive to understand why and how this has happened, and the impact these dysfunctions are having on the whole system. Once we get a 3D picture of how the body has adapted to these dysfunctions, how it has changed its posture and movement pattern, we then make a decision of how best to treat, where to start, and what type of approaches to use. The Role BxClinic plays: In my experience, the foot & ankle complex is an area of the body which is often neglected by practitioners, but its impact on the rest of the body’s functioning should not be under-estimated. Foot & ankle biomechanical dysfunction are often found in association with many of the common clinical presentations we see in our clinics, including: lower extremity pain, lower back pain, pelvic pain, upper back pain, shoulder & neck pain and head aches, only to name a few. Resolving any fixed problem arising from the foot or ankle function can make a big difference in our patients’ outcomes by reducing the compounded effect of mechanical stress on the body, which in turn helps to make our treatment more effective and longer lasting. For those cases, the specialist input offered by BxClinic is invaluable in ensuring the long term improvement for our patients, especially when chronic & persistent pain is present. Ultimately, we want the best possible outcome for our patients and teamwork is sometimes required in supporting them to achieve full recovery. Knowing that we can rely on BxClinic for this purpose is very reassuring to us. 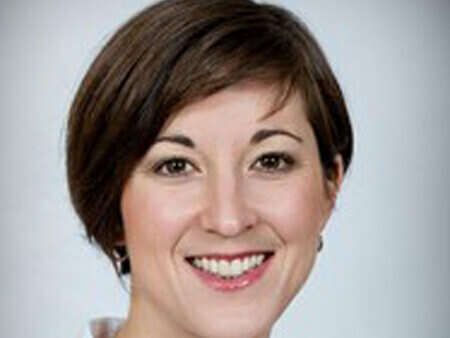 Heidi Dawson is a highly skilled exercise rehabilitation therapist. We work together to help both sports people and regular patients recover from injuries. We will work to relieve the underlying mechanical malfunctioning bones, joints and movements, while Heidi will work to rehabilitate the tissue as well as the muscular function. “My name is Heidi Dawson and I am a Graduate Sports Rehabilitator. I specialise in the treatment and rehabilitation of soft tissue injuries, both sporting and occupational as well as day-to-day injuries and pain. 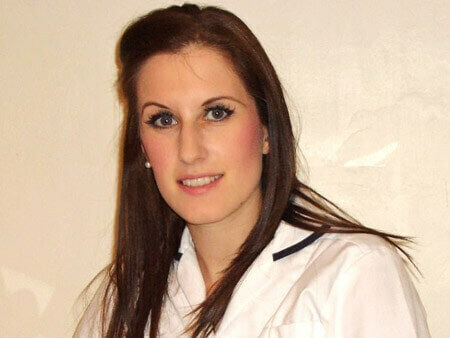 Nina is a very talented local podiatrist who works with us with numerous patients. She is able to deal with many areas of chiropody or podiatry that are giving patients continual daily pain. Our collaborative work means that we can address the underlying biomechanical dysfunction and Nina can help with patients’ verrucas, corns, nails and calluses, keeping them on their feet and as pain-free as possible. “Biomechanical issues arising from the feet can pose problems for many people, both young and old. Not only can the way we walk be affected by these issues, but many problems affecting the skin and nails can arise too. Whilst having their biomechanical issues addressed by Ian at Norfolk’s BxClinic I am able to address the superficial problems that often develop secondary to these. These include the often painful calluses and corns which form underneath and on the sides of problem joints in the feet. Also, some nail problems can arise from biomechanical issues where the foot is not functioning correctly, such as involuted nails, ingrowing toenails, and thickened nails.